Republicans to Murkowski: Nice State You Have There. Shame If Something Should Happen to It. Wall Street Journal writer Kimberley Strassel’s column typically channels talking points from congressional Republicans, and today’s effort is dedicated to putting the squeeze on Alaska senator Lisa Murkowski. Strassel’s method of persuasion draws less on the theories of Hayek or Friedman and instead reflects the influence of the lesser-known conservative moral philosopher Vito Corleone. She would get the fury of a White House and a GOP Congress with far more power over Alaska than just its health care. 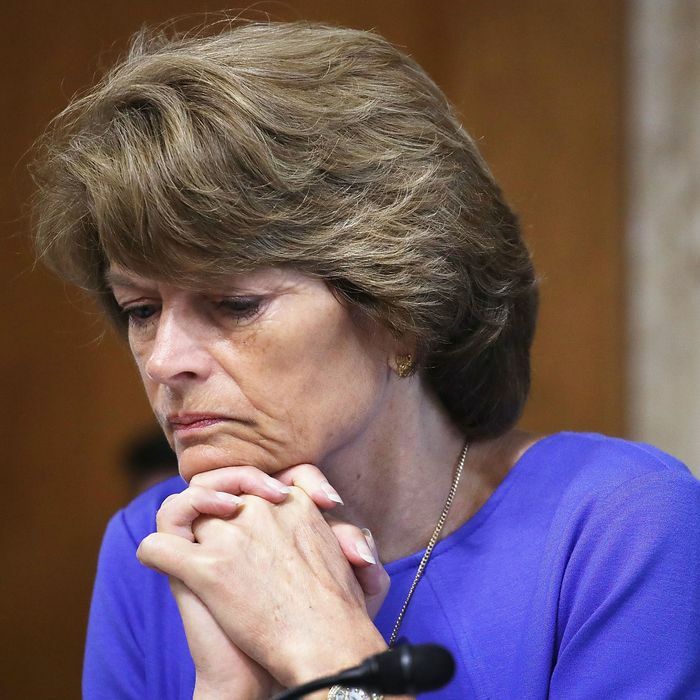 As Ms. Murkowski knows better than anyone, Alaska lives or dies on federal largess. It routinely tops the list of federal funding per capita. It receives billions in annual federal grants and billions more in defense spending. Federal money supports an estimated one-third of all the jobs and household income in the state. Some of these funds come from mandatory entitlement programs, but the money that really matters is discretionary. It’s the Denali Commission. It’s the Essential Air Service, which subsidizes flights in rural Alaska. It’s grants for weatherization, and village water projects, and salmon recovery. It’s wildlife refuge payments and bridges to nowhere. It’s upgrades for military bases. Interior Secretary Ryan Zinke called Ms. Murkowski after her July health-care defection to let her know President Trump would be turning off the tap, and ending Alaska’s enormous opportunity to cash in on energy deregulation. The liberal press howled over this supposed “threat.” But why should the nation continue to send outsize taxpayer funds to a state that is single-handedly condemning Americans to ObamaCare? Consider the progression of thoughts here. In the first sentence of this paragraph, Strassel describes a Trump administration threat to exact policy retribution on a completely unrelated policy area if Murkowski opposed their bill. In the next sentence, she insists it’s not really a threat. (The word gets a set of scare quotes along with a supposed.) And then, in the next sentence, she contradicts the previous one by underscoring the threat and arguing that it’s justified. Why, asks Strassel, should the government upgrade military bases in Alaska if Murkowski is unwilling to sign a bill that she believes would hurt people? Threats only work if the target believes the person issuing them is completely unethical. What’s most telling about the congressional Republicans’ warning, issued via Strassel, is that it makes no distinction between legitimate and illegitimate spending. Presumably there could be some kind of neutral good-government test of spending programs that distinguishes between those with merit and those without. Strassel just tosses them all — military-base upgrades, which she presumably considers merited, and bridges to nowhere, which she presumably does not — into the same category. This threat would be worthless if Murkowski believed the congressional Republicans would evaluate spending programs that benefit Alaska on their merits. But that possibility is clearly so naive Strassel does not even bother to deny it. Strassel just straight-up operates from the assumption that of course completely unrelated programs will be either approved or canceled on the basis of political blackmail.